Brother Kendrick was born and raised on a farm in Georgia. He followed his father as a farmer until the outbreak of the Civil War when he organized F Company of Georgia’s 51st Infantry. 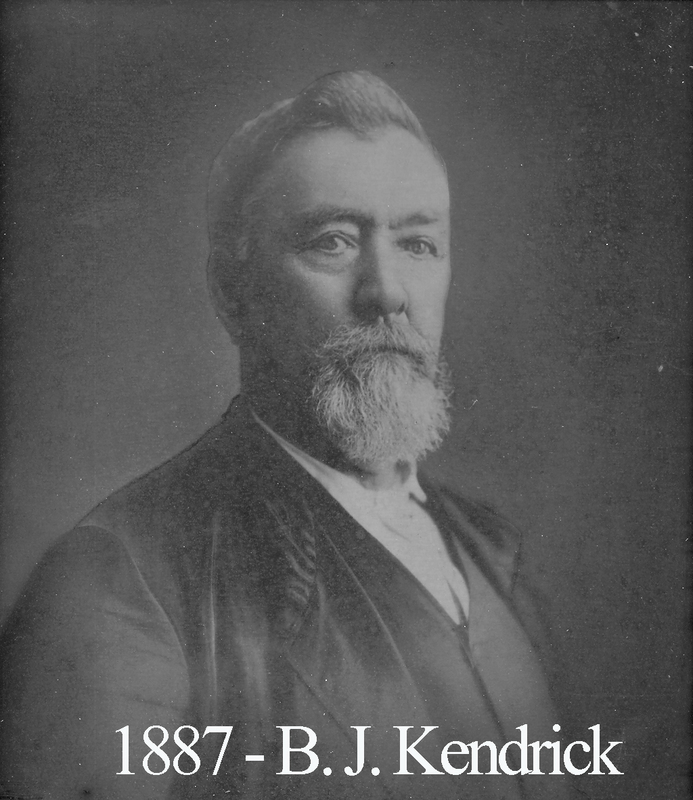 He and his troops saw extensive combat until the conclusion of the war and Kendrick moved to Texas in October of 1865. Judge Baylor ordained Kendrick in 1868, making him a deacon of the church. In the fall of 1869, he bought 320 acres of land in Mclennan County and moved to Waco a year later. He was an officer of the Waco Association of Baptists for several years. He died in April of 1912. He was remembered as an “educated, industrious, intelligent farmer of the old school” and was said to have lived eight miles from town at a place then called White Hill but was still one of the most regular attendants of Waco 92.